The company was already active in the early 1950s. 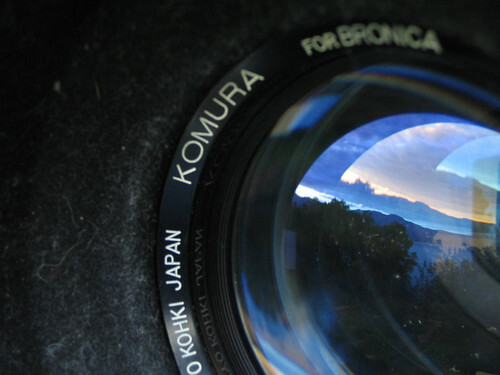 Before the use of the Komura brand, it used the brand name Chibanon or Chibanone, notably supplying lenses to the Tōsei Kōki company. The Chibanon brand was retained for some time on enlarging lenses and projection lenses. 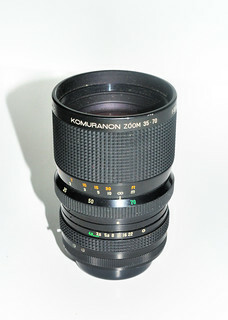 The Komura company became insolvent in 1980 and in 1981 was reported to be in acquisition talks with a "large binocular manufacturer". The outcome is unknown, however, all trademarks owned by the company subsequently expired, suggesting the company did not survive. 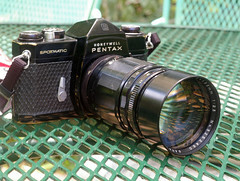 Modern collectors praise Komura lenses, particularly the fast preset telephotos, for their high contrast, color rendering, and smooth bokeh. 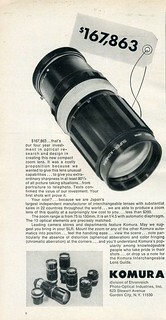 Advertisement by Sankyō Kōki in Asahi Camera, January to April 1955.
another lens perhaps called Chibar (チバー) was advertised on the Sanon Six II. Sankyō Kōki ad in Asahi Camera November 1953. 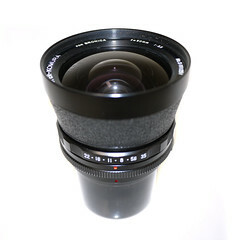 ↑ Projection lenses: example observed in an online auction. ↑ The Roman spelling "Chivanon" found in original advertisements has not been observed on actual products, and was certainly mistaken. ↑ 9.0 9.1 9.2 9.3 9.4 9.5 Advertisement in Asahi Camera January 1955, p.234, February 1955, p.167, March 1955, p.213, and April 1955, p.224. ↑ 10.0 10.1 10.2 10.3 Advertisement dated 1954 reproduced at Shashin-Bako. 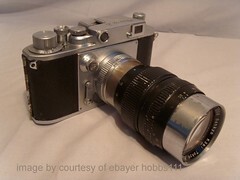 ↑ E-Chibanon 50mm f/3.5 lens observed in an online auction, black and chrome barrel with knurled aperture ring. ↑ Advertisements in Asahi Camera October 1953, p.222, and November 1953, p.198. This page was last edited on 21 September 2017, at 05:12.